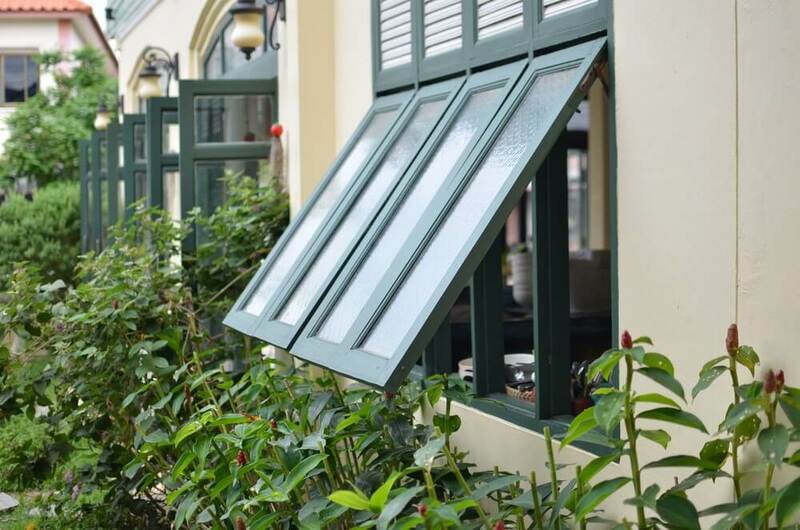 Awning window is a casement window but instead of opening from side to side, it opens upward, toward outside of the house. 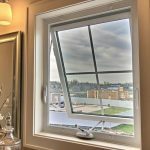 These windows are grate if you are looking to add extra airflow, improve energy efficiency of your home and add a secure window. 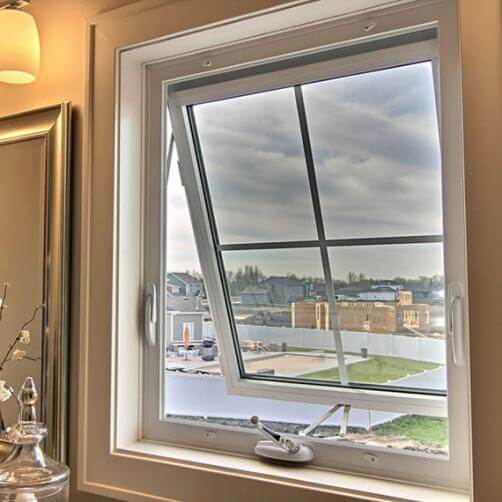 Awning windows offer great level of insulation, and are very well sealed when close properly. 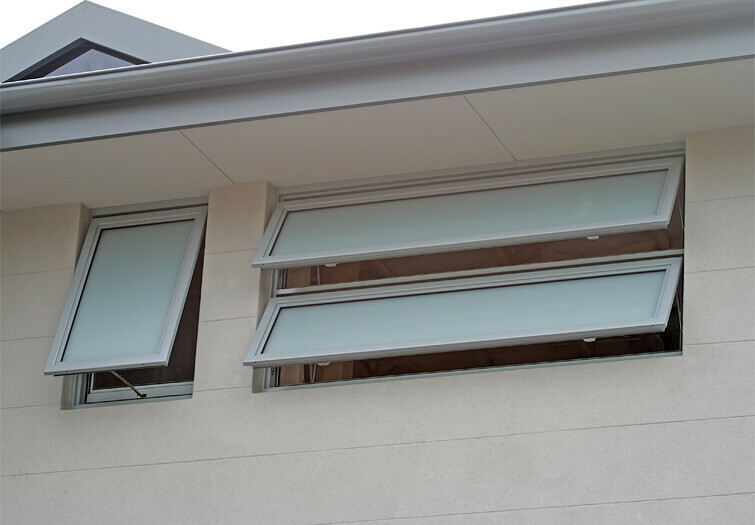 If you are looking for a window that ads security, Awning window is a great way to go. They are usually installed higher on the wall and are hard to climb into. 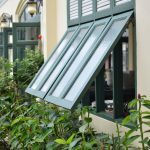 Another plus an Awning window brings to a home is good ventilation, especially nice is that during a light rain the window can be opened without rain dripping into a house. It is not safe to install an Awning window where you have a lot of foot traffic, someone can bump into it if it is not placed high up. 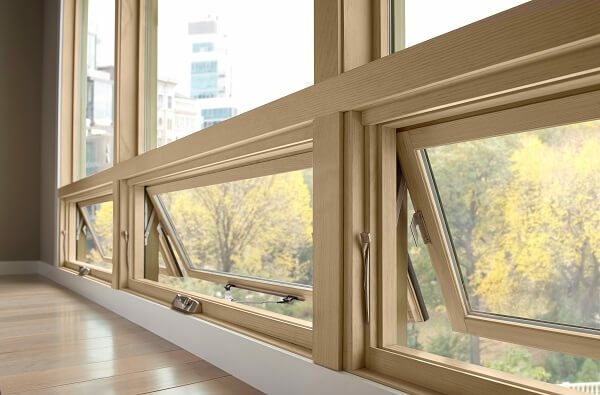 Awning windows require frequent cleaning since the dirt sets on them, because the area of the window exposed is much bigger. 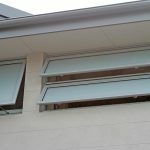 Awning window can’t be used as an escape window, they are usually to high up and the construction of the window makes it difficult.